It’s already the middle of June, and that means there’s a special day coming up this Sunday… Father’s Day! Whether it be your own father, your significant other or first-time dads, all the special fathers in your life deserve a day to celebrate them. Although there’s nothing like spending quality time with fathers on Father’s Day, it’s always nice to give them a gift to show your appreciation for them. As I was thinking about what I want to give my own dad and Kyle for Father’s Day, I came up with a few gift ideas that all dads might enjoy – and at all different price levels! Sphero Socks – You know when you were a child and you got socks as a gift and you were really disappointed? But then as you got older you started to really appreciate them more? Well, you can never have enough socks! I know lots of men, especially business men, who love a nice pair of socks with cool designs. More and more men are matching their socks to their outfits. 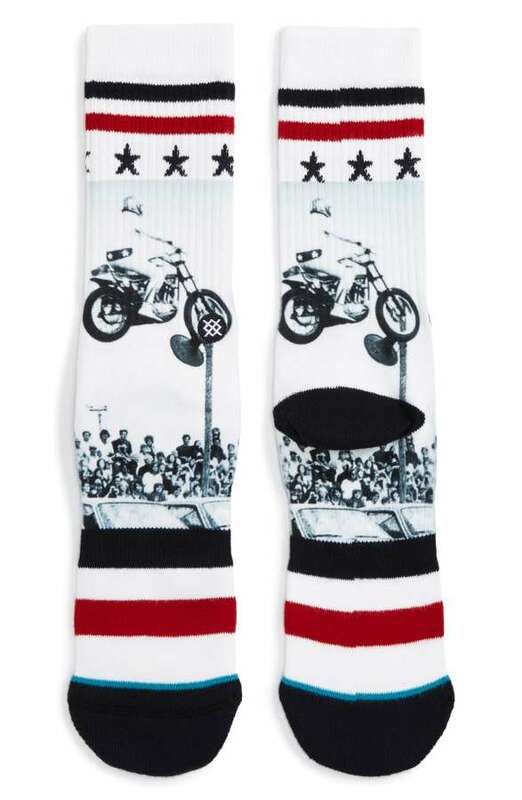 If you’re looking for a gift on the lower end of your budget, Stance socks are a perfect gift. They are soft, sturdy and have lots of different designs and they range from $10-$20. Shop here! Carry-On Cocktail Kit – Does your dad like to have a drink occasionally? Does he travel a lot? I found this super unique gift at a very reasonable price. It’s called the carry-on cocktail kit. It comes in a cute tin kit and it’s made to use on an airplane to make your favorite cocktail. There are five different flavors – Old Fashioned, Moscow Mule, Gin & Tonic, Champagne Cocktail and Bloody Mary. The kit comes with everything you need to make the perfect cocktail, all you have to do is order the alcohol and the base drink. These are cool and fun and only cost around $20 from Macy’s. Shop here! Wallet – There is something about a man and his wallet. Men become attached to their wallet like women become attached to their purses. They will use them until they are falling apart, am I right? So, a wallet is great gift for men who you know need a new one and won’t go buy one themselves! 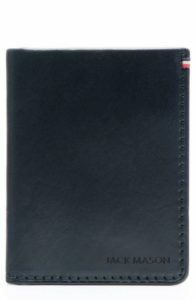 A good place to look for a wallet is Nordstrom.com. They have wallets at all different price ranges – including this Jack Mason leather wallet on sale for $47.49. And the best part about Nordstrom is they have FREE shipping and they are usually very fast! Shop here! 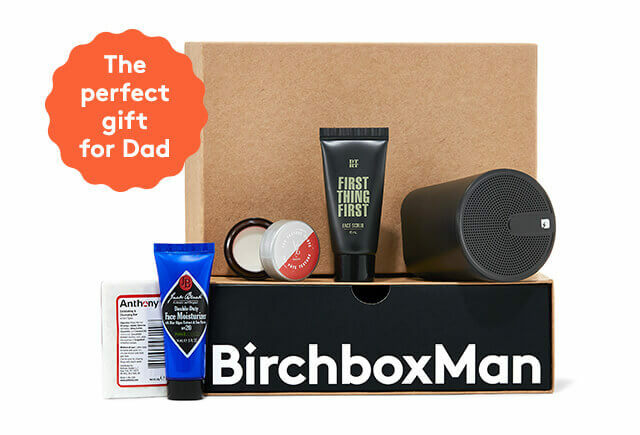 Birchbox Man – Subscription boxes are all the rage right now, everywhere I look I see a new ad for a different subscription box! One of the most popular boxes is Birchbox. I know a lot of women who subscribe to Birchbox for makeup and skincare products, but there is a Birchbox for men! Each month you get a box in the mail filled with goodies just for men! This is a fun and different kind of gift that any Dad would enjoy. You can give the gift of one month for $20 or six months for $99. Shop here! Sphero App-Enabled Car – And lastly, if you have a father in your life that is still a kid at heart (like I do! ), then you have to get them this Lightning McQueen car. You drive it from an app on your phone and the animation and sound is spot-on for Lightning McQueen (or Kachow as he’s known in our house!). It will keep your hubby and the kids entertained for hours! It’s a little more on the expensive side, but it is so cool! Shop here! It’s never too late to get a last-minute present for the special fathers in your life! I hope you all have a great Father’s Day and spend it with the ones you love, I know I will!